Stylist and Editor-at-Large of Elle, Lori Goldstein is "very normal" -- or so she tells us! If you've flipped through the pages of Elle, Vanity Fair, W Magazine, and countless other publications, you've seen Lori's work. Her impressive résumé includes styling iconic photo shoots with Madonna, Michael Jackson, Beyonce, and more (and we mean a lot more). She's known for her creative looks that take over-the-top fashion one step further. On October 29th, her book, "Lori Goldstein: Style Is Instinct" debuted as a collection of her favorite photographs. With a foreword by Steven Meisel, it features more than 80 astounding photos that she created in collaboration with the world's finest photographers - including Annie Leibovitz, Mario Testino, Bruce Weber, Meisel, among others. StyleList sat down with Lori to discuss the book, her style inspiration, and a few of those iconic shoots. StyleList (SL): Who has been your most memorable person to style? Lori Goldstein (LG): I am more of a fashion stylist so I have stories that are memorable, but of course, styling Madonna and Michael Jackson are unforgettable. SL: What is your approach to styling a person or shoot? LG: To get to fully understand the person or client and immerse myself in their world and what their needs are and inject my taste into it. SL: Who was the most challenging person to style? LG: Dressing wise, there is never a challenge. I love dressing different body types and love individuality. Now, as far as people personalities, I¹ll never tell!! SL: If you could style one person who would it be? LG: Well Marilyn would be an obvious choice, so I¹m sticking to her. SL: As such a busy woman, what is your morning routine? SL: Describe yourself in three words. LG: Honest, fun (crazy), and dedicated. SL: What¹s the one thing people don¹t know about you? 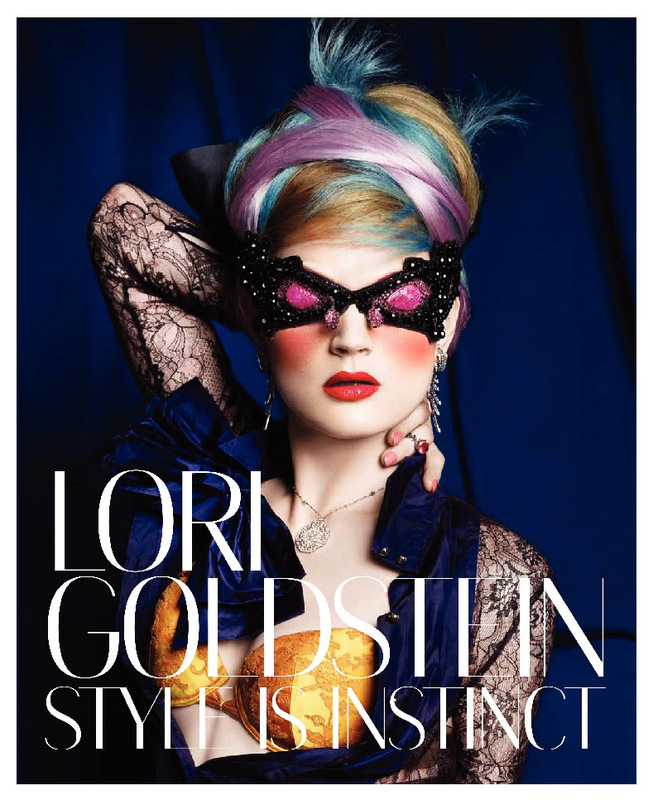 Make sure you snag a copy of Lori's amazing new book "Lori Goldstein: Style is Instinct" available now!